There’s an epidemic sweeping through the veteran community. It’s a tragedy often overlooked by the media, however it is no less urgent of an issue. This problem can be clearly seen in a recent VA report, which says that over 20 veterans a day die by suicide. This number is staggering considering the fact that, in 2010, veterans accounted for more than 20 percent of all American suicides while only making up 9.6 percent of the US population. For years now, IAVA has been committed to the fight to end veteran suicide, whether it be by advocating for better mental healthcare laws on the Hill or helping veterans directly through the Rapid Response Referral Program. In 2018, IAVA again made combating veteran suicide a priority and incorporated it into their Big 6 policy priorities for the year. 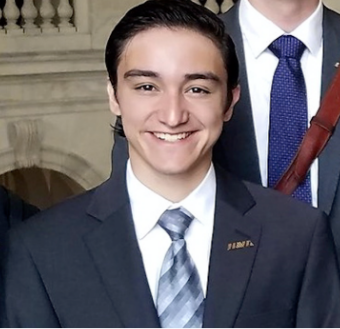 I am proud to say that within the time that I’ve been interning here thus far I have been able to contribute, albeit in a minor capacity, to the advancement of IAVA’s Big 6. However, in the past few days, I discovered a new approach to the issue of veteran suicide which I believe has the potential to drastically reduce the scale of the problem. Last week I attended a VA Research fair on the Hill where representatives from multiple VA offices and departments showed off their latest findings to veterans organizations. Upon arriving at the event, I had the odd sensation of being both overwhelmed and underwhelmed simultaneously. Underwhelmed by the fact that the event was hosted within the confines of the small foyer of the Rayburn House Office Building, yet impressed at the same time by the sheer number of VA research offices and departments that were present at the event. From the moment my colleagues and I arrived, we were bombarded with information from representatives from a slew of different VA personnel, all trying to hold our attention long enough to present their programs, developments, and research findings with as many attendees as possible. Through their presentations, I was able to gain valuable insights as to the current state of healthcare for women veterans. 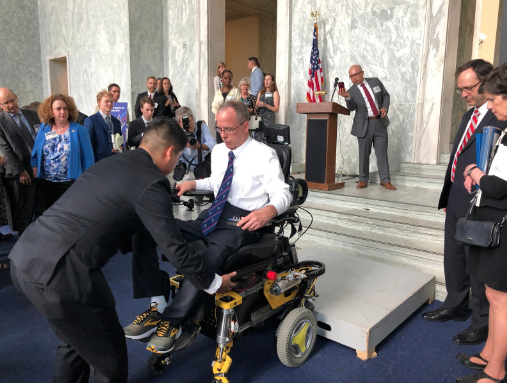 I learned about the future of mental health treatment for PTSD from VA doctors, and even had the opportunity to watch a demonstration of a new wheelchair for disabled veterans capable of climbing stairs and traversing large obstacles. However, out of all the pioneering research projects that I had learned of that day, one in particular spoke to me. 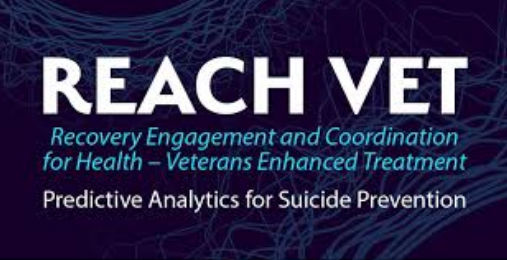 It was a presentation by the Veterans Health Administration’s Office of Research and Development on a new suicide prevention strategy called REACH VET. In other words, REACH VET is a preventative measure against veteran suicide, making it easier for doctors to find and help patients quicker. Currently the REACH VET program has been implemented at VA facilities across the nation, and while VA officials have seen notable success, the project is still new, so we won’t know how effective it really is for at least the next couple of months. In our modern age of medical care, tragedies such as veteran suicide should be unacceptable. However, while veteran suicide is still very much an issue in our society, I came away from the VA’s Research and Development fair with a great sense of optimism for the future of veterans healthcare. Although they face major hurdles ahead, I am confident that the veteran community is in the capable hands of the many VA doctors and researchers whom I met at the event, and that solutions such as REACH VET have the potential to end the veteran suicide epidemic. IAVA knows veteran suicide is a top priority and addressing it through the VA is just one way we are tackling the issue. See all the ways we are fighting back against vet suicide here and take action here.